Parliament has to take up this issue and frame a legislation along the lines of the U.S. Administrative Procedure Act by which all subordinate legislation is subject to a transparent process, suggested the Bench. The two Judge Bench of the Supreme Court of India today has made certain significant observations relating to transparency, right to information and openness in Governance. 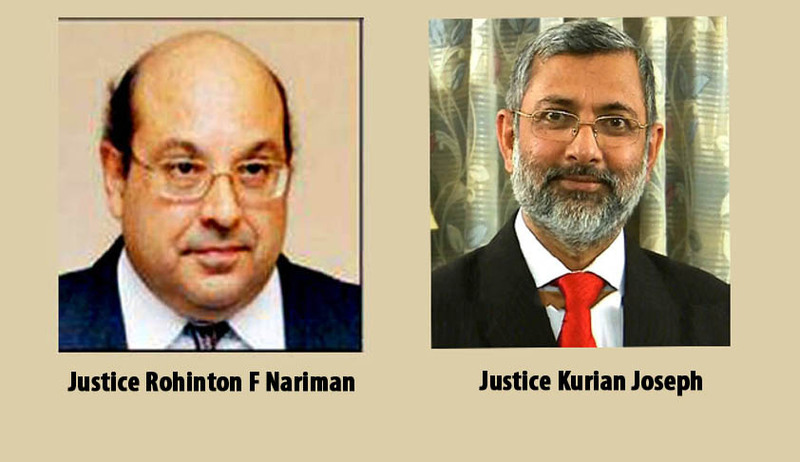 The Bench comprising of Justices Kurian Joseph and RF Nariman while declaring the Telecom Consumers Protection (Ninth Amendment) Regulations, 2015 ultra vires the TRAI Act and violative of Articles 14 and 19(1)(g) of the Constitution, has held that the Right to Information Act of 2005 has gone a long way to strengthen democracy by requiring that the Government be transparent in its actions, so that an informed citizenry is able then to contain corruption, and hold Governments and their instrumentalities accountable to the people of India. The Bench opined that subject to certain well defined exceptions, it would be a healthy functioning of our democracy if all subordinate legislation were to be “transparent". Under Section 4(1) of RTI Act, every public authority is not only to maintain all its records duly catalogued and indexed but is to publish, within 120 days from the enactment of the said Act, the procedure followed by it in its decision making process, which includes channels of supervision and accountability. Under Section 8, there is no obligation to give to any citizen information disclosure of which would prejudicially affect the sovereignty and integrity of India, the security of the State etc. Subject, therefore, to well-defined exceptions, openness in governance is now a legislatively established fact. Justice RF Nariman who wrote the Judgment urged the Parliament to take up this issue and frame a legislation along the lines of the U.S. Administrative Procedure Act (with certain well defined exceptions) by which all subordinate legislation is subject to a transparent process. “We find that, subject to certain well defined exceptions, it would be a healthy functioning of our democracy if all subordinate legislation were to be “transparent" in the manner pointed out above. Since it is beyond the scope of this judgment to deal with subordinate legislation generally, and in particular with statutes which provide for rule making and regulation making without any added requirement of transparency, we would exhort Parliament to take up this issue and frame a legislation along the lines of the U.S. Administrative Procedure Act (with certain well defined exceptions) by which all subordinate legislation is subject to a transparent process by which due consultations with all stakeholders are held, and the rule or regulation making power is exercised after due consideration of all stakeholders’ submissions, together with an explanatory memorandum which broadly takes into account what they have said and the reasons for agreeing or disagreeing with them. Not only would such legislation reduce arbitrariness in subordinate legislation making, but it would also conduce to openness in governance. It would also ensure the redressal, partial or otherwise, of grievances of the concerned stakeholders prior to the making of subordinate legislation. This would obviate, in many cases, the need for persons to approach courts to strike down subordinate legislation on the ground of such legislation being manifestly arbitrary or unreasonable”, states the Judgment.